Potassium is a normal chemical in the body that is important to muscle function, especially in the heart. It helps conduct electricity in the body and helps muscles contract. But when the concentration of potassium in your blood becomes too high, muscle contractions become abnormal and can lead to difficulty walking and paralysis. The rhythm of the heart becomes disordered and can lead to cardiac arrest. A routine blood analysis can quickly determine high potassium concentrations in the blood and help diagnose a life-threatening condition known as hyperkalemia. Because the control of blood concentration is provided by normal kidney function, hyperkalemia can develop when kidney function has been lost due to kidney disease or acute kidney injury caused by infection, burns, and heart disease. It can also be caused by motor vehicle accidents and earthquakes, and combat-related injuries. The latter is especially tricky to treat because it requires immediate dialysis treatment not available on the front lines of a battlefield. Even in present day hospitals, dialysis treatments take time to initiate and are not available in smaller and rural hospitals. They require electricity, clean water, specialized medical equipment, and specially trained nurses and technicians. Because the percentage of patients who develop life-threatening hyperkalemia with no access to dialysis is small (16% of victims of natural disasters such as earthquakes, and about 6% of all combat related casualties developed hyperkalemia within 48 hours of injury), there has been little development in finding alternative ways to treat it. But thanks to a recent grant, novel agents that can provide rapid treatment of life-threatening hyperkalemia in critically-injured patients are currently under development. The new treatment methods use absorbing polymers to remove potassium from the blood. There are potassium sorbents available on the market today, known as sodium polystyrene sulfonate and patiromer, but are only recommended for non-emergent treatment of hyperkalemia. The new treatments focus on emergency treatment of hyperkalemia that can be used in situations where dialysis cannot be used. 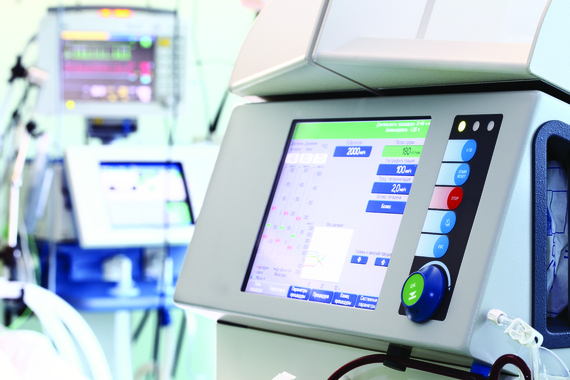 Once the life-threatening hyperkalemia is addressed, the patient can be transferred to facilities where dialysis is available. For more information about kidney disease, visit kidney.org.